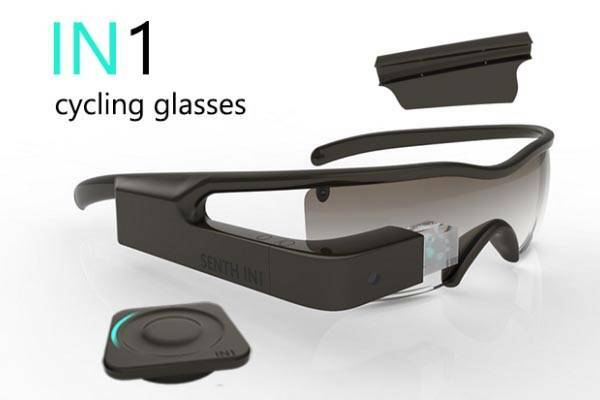 The Senth IN1 is a pair of functional and advanced cycling glasses powered by a high-end 1.2GHz dual-core processor and comes equipped with 1GB RAM and 4GB ROM for a fast response to your operation. The smart cycling glasses features multiple built-in sensors including GPS, gyroscope, accelerometer, magnetometer, ambient light sensor, and barometric altimeter in order to track your riding routes and various data during cycling, meanwhile, its 16:9 800 x 480 widescreen display shows you real-time tracking data on the lens. As for lens, Senth IN1 has four interchangeable lenses that can fit for different light conditions. Senth IN1 has integrated voice recognition that allows you to make a call by saying “please call someone” or send a message with voice input. 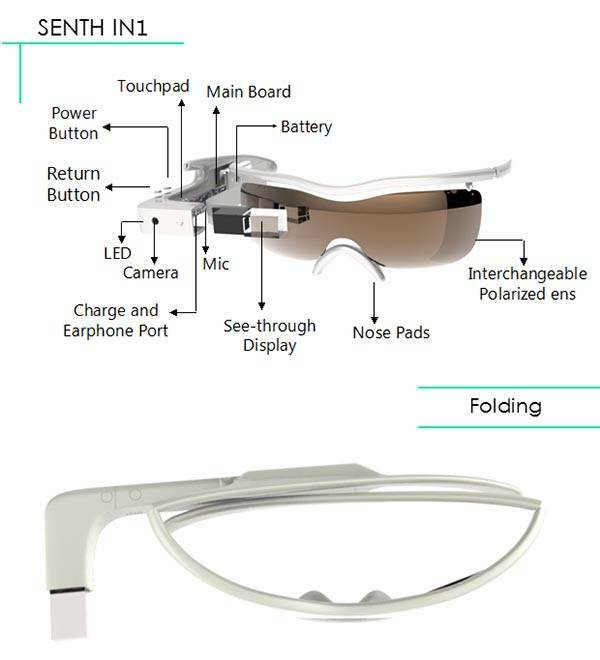 Moreover, the AR cycling glasses comes with an integrated camera that supports 8MP stills and 720p video recording so you can easily record the charming scenery along the road without taking out of your smartphone or camera. Using a uniquely designed weatherproof Bluetooth thumb controller, you can effortlessly switch between its functions. The Senth IN1 has been available for preorder on Indiegogo. Pledging $199 will let you own the AR cycling glasses. It will be shipped in December 2015.